According to president Muhammadu Buhari the federal government’s implementation of Made in Nigeria for Exports (MINE) will generate 30 billion dollars and create 1.5 million jobs by 2025. MINE is a presidential special priority intervention programme implemented by the Ministry of Industry, Trade and Investment, but under Buhari’s direct supervision. The News Agency of Nigeria (NAN) reports that the president stated this at the signing of agreement between Nigeria Special Economic Zones (SEZ) Investment Company and Strategic Investment Partners at the State House, Abuja on Friday, February 8. According to him, MINE is using Special Economic Zones to achieve the objectives of boosting the share of manufacturing in Gross Domestic Product to 20%.“Under my direct supervision, the Minister of Industry, Trade and Investment is implementing Project MINE (Made in Nigeria for Exports) as a Presidential special priority intervention using Special Economic Zones to achieve the objectives of; boosting manufacturing’s share of GDP to 20%, generating $30bn in annual export earnings; and creating 1.5 million new jobs all by 2025. “In order to achieve these ambitious objectives, we are implementing a comprehensive plan including but not limited to the following:“We have set up the Nigeria SEZ Investment Company Limited as a vehicle for participating in Public Private Partnerships involving Federal and State governments and local and foreign private investors. .He said: “Whilst we await the completion of the process of bringing in these investors, the Federal Executive Council has approved the award of contracts in excess of N19.45 billion for the needed investment in Calabar and Kano Free Trade Zones and work is currently ongoing. 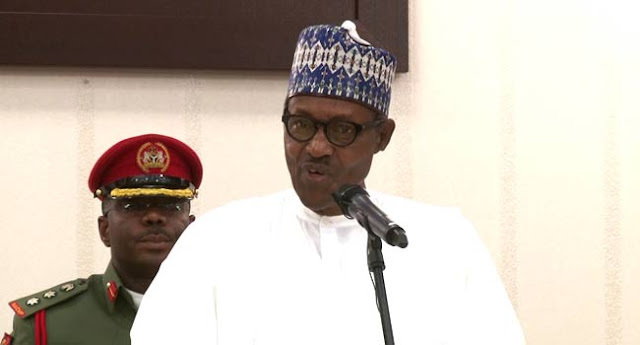 “This is the highest amount of capital investment ever in the history of these zones.’’The President said the federal government had allocated funds to upgrade the capabilities of management and the systems in the Nigeria Export Processing Zones Authority, to strengthen it as a regulator of the SEZ. Nigerian Sovereign Investment Authority (NSIA) and the African Development Bank (AFDB) for their support for the initiative.Earlier in his remarks, the Minister of Industry, Trade and Investment, Mr Okechukwu Enelamah, explained that the agreement would actualise the nation’s industrialisation agenda and provision of infrastructural facilities. He thanked the president for approving resources to attract world class advisers for the implementation of the initiative. It was also reported that those who signed the agreement included President Afreximbank, Benedict Oramah; the Managing Director, Bank of Industry, Olukayode Pitan and the Managing Director of the Nigerian Sovereign Investment Authority, Uche Orji. Meanwhile, HRL news reported that Ibrahim Magu, acting executive chairman, Economic and Financial Crimes Commission (EFCC), says the commission recovered over N527 billion, 53 million dollars and £122.89 through the whistle blowing policy as at May 2018. Magu made the disclosure on Thursday, February 7, at a town hall meeting organised by the African Centre for Media and Information Literacy (AFRICMIL) in Port Harcourt.